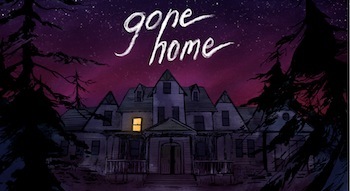 Gone Home's Steve Gaynor says Microsoft is asking indie devs to take on a "huge undertaking." In case you've been living under a bee hive (bet you were expecting a rock) for the past few years, indie games have been growing to a position of greater and greater prominence thanks, at least in part, to their increasing presence on consoles. Sony, in particular, has earned a lot of praise from the indie scene for its arms-wide-open position toward small developers. Microsoft, perhaps hoping to put on a friendly face toward indies in the light of older unpopular practices, in turn launched its [email protected] program to help draw independent developers back to its hardware. That said, Microsoft earned new criticism recently thanks to a stipulation in the [email protected] contract that requires any multiplatform indie games in the program to receive a simultaneous launch on its Xbox One. Adding to the discussion about the policy in a recent interview, Gone Home developer Steve Gaynor described that requirement as "crazy" and potentially impossible for smaller developers lacking the resources to make same day multiplatform releases. "Especially if it's a game like ours that is a full 3D game and you're going to run into obscure rendering bugs and all this kind of stuff," he said. "It would be a huge undertaking." An undertaking that Gaynor believes could make Sony again seem like the friendly destination for indie games. "If you're talking to Sony and Micosoft, and Microsoft is like, 'well you can't be on Xbox if you're on PlayStation first', but it's easier to be on PS4 because they have better terms, then you'll be like, 'okay lets just be on PlayStation'." While Gaynor does admit that some indie studios might be able handle the workload, he still says that it "sounds kind of crazy" to him.